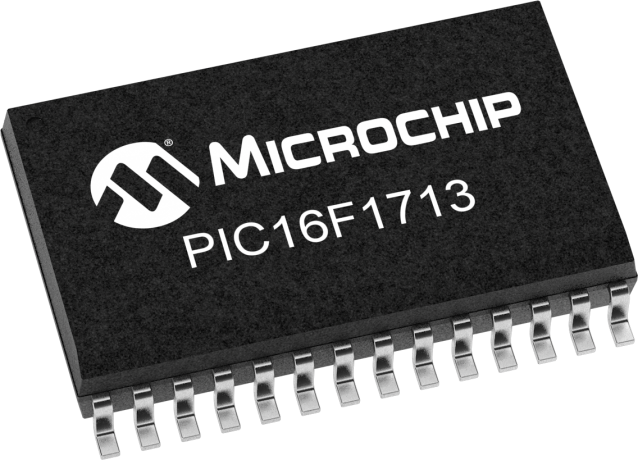 PIC16F1713 combines Intelligent Analog integration with low cost and extreme low power (XLP) to suit a variety of general purpose applications. This microcontroller delivers on-chip Op Amps, Core Independent Peripherals (CLC, COG, NCO and Zero Cross Detect) and Peripheral Pin Select, providing for increased design flexibility. The PIC16(L)F1719 Emulation Extension Pak (Part # AC244065) is a cost effective in-circuit emulator system designed to assist with the most complex code debugging jobs. This advanced development/debugging tool includes an Emulation Header board, Trace Cable, Trace Adapter Board, and gold header pins, and is intended to be paired with MPLAB REAL ICE.